You can have excellent custom designs made quickly by an experienced professional designer. Just send me a message with your questions or job requirements and I will get back to you ASAP with an answer or a price quote and an estimate on the turnaround time. You can place an order right now through the order page, but if you need several banners or some other graphics, then you can send me an email through the contact page and (depending on the order size) I may be able to offer you a discount. When you are ordering banner ads, you could also mention your color, photo and text preferences, but usually I just try to somewhat match the clients' website style in order to reinforce their brand image. Designer Needed for Banner Ads 5.00 Jun 2018 "Romet provided high-quality banners at a great price. His work is fast and he makes sure you are fully satisfied before charging. I look forward to working with Romet again for our future marketing design needs." Facebook banner ads World Cup 2018 5.00 Jun 2018 "Great working with Romet, very professional!" Banner designer 5.00 May 2018 "Great work, very responsive!" Polish six FILD interstial ads 5.00 Sep 2015 - Sep 2017 "Romet is a great freelancer. I recommend him warmly to other companies." Custom badge design 5.00 Aug 2016 - Sep 2016 "It was a pleasure working with Romet. He has a great attention to detail and excellent graphic design skills, great communication skills and good taste." Logo rebrand 5.00 Apr 2016 - May 2016 "Romet was great to work with and produced what I wanted in my logo design. Would do business with anytime I need design work." Set of 8 banner/interstitial graphics for AdWords 5.00 Feb 2016 "Quality work delivered ahead of schedule." Banner kit 5.00 Aug 2015 "Romet was very professional and exceptionally fast. Highly recommended!" Clean, beautiful banner ads 5.00 Jun 2015 - Jul 2015 "It was great working with Romet. Good communications and no request was too much for him." Skin for Astro Lords 5.00 Feb 2015 - Jul 2015 "Romet is one of the best banner graphic designers on the market." Banners for my site Testoplus.fi in various sizes 5.00 Jun 2015 "Very nice professional designer. Great and fast delivery. Very good communication." Set of banners 5.00 Oct 2014 - Mar 2015 "Best banner designer hands down." Ad Banner Creation 5.00 Sep 2014 - Dec 2014 "high quality freelancer, works extremely quickly, and highly responsive. Thanks Loodus. Very talented banner designer." Animated and interactive banner ad sets 5.00 Jul 2014 - Nov 2014 "Romet is very efficient. We will work with him whenever we need banner ads." Professional ONLINE BANNER designer 5.00 Oct 2014 "Great job. Design was as expected, responses were VERY quickly!" Web Banners 5.00 Jun 2014 - Jul 2014 "Thanks Again! Will hire again." Web banner designer 5.00 Jun 2014 "Romet is top notch. Great work here, look forward to working with you on another project. thanks!" Banner Ads & FB images for nine ad campaigns 5.00 May 2014 "Excellent graphic designer for banner and Facebook ads. Fast. Very fast." Banner design 5.00 Apr 2014 "Fast and reliable work. Good understanding of the project." Flash Banner Animation starkraft 5.00 Nov 2013 "Romet was a real pleasure to work with. He showed both graphic and animation skills, delivered his work super-fast and even went an extra mile I hadn't even asked for. His English is also very good. I'll definitely contact him again." Banner Ad Design For Ecommerce Business 5.00 Aug 2013 "Romet produced some great banners, was very responsive, understood instructions and communicated very well. I will definitely be working with him again." Online Banner Advertisement Expert 5.00 Sep 2012 "Romet is a very skillful professional. He delivers quality work in a timely fashion. 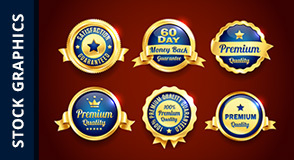 He work exceeded expectation"
Banner design (5 banners) 5.00 Jul 2012 "Really nice .gif banners with animations. Romet Loodus is definitely a skilled and trained banner designer. Thanks"
And you can see examples of my work here: design portfolio.